Crispy and crunchy, Namak Pare or Namak Para are a great snack to enjoy with a cup of hot ginger tea. They are a staple during the Diwali and Holi festivities. 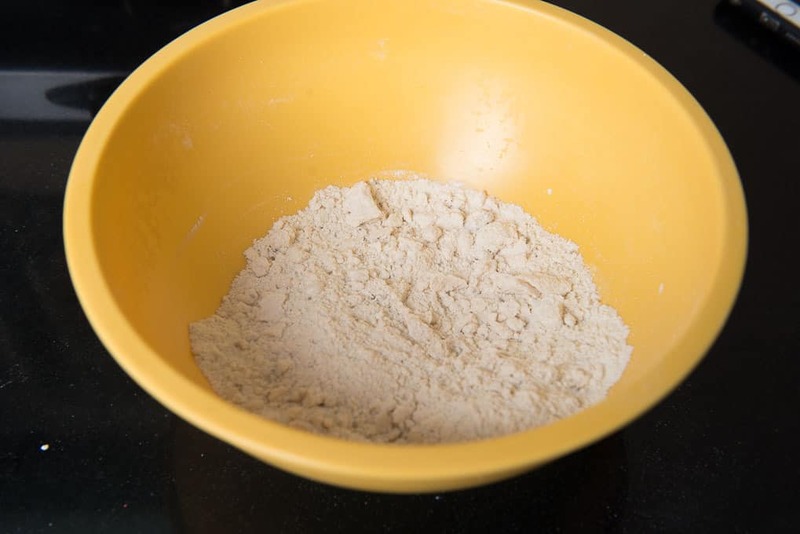 Make these at home using this step by step Punjabi Namak Paare Recipe. Crispy and crunchy, Punjabi Namak Pare are a great snack to enjoy with a cup of hot ginger tea. This snack takes me back to my childhood. There always used to be a box full of Namak Pare in the house and every evening with tea, my nani used to keep these with other dry snacks in huge plates for all of us to munch on. I too always make it for Diwali and Holi, though in a very small amount. The trick to make crunchy Namak Paare is to knead the dough as tight as you can and fry them on very low heat. 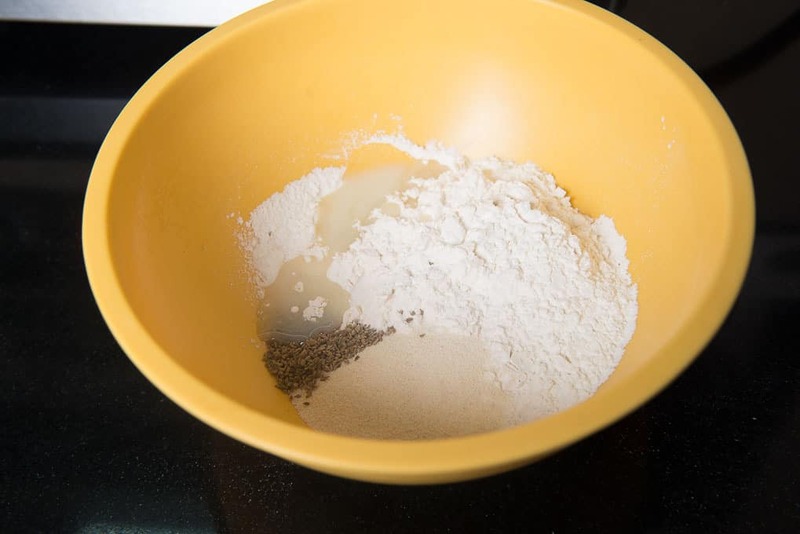 The amount of ghee added to the flour while kneading it is also very important. It makes the Namak Para crisp and flaky. These are also great to serve to guests, along with Murukku, Masala Kaju, Methi Mathri and Chivda Namkeen. Also, you can prepare this snack well in advance for festivals, so that whenever your guests visit you, you can spend some time with them and serve them Namak Pare without any preparation. The consistency of the dough is very important while making this snack. It should be tight like a poori dough. 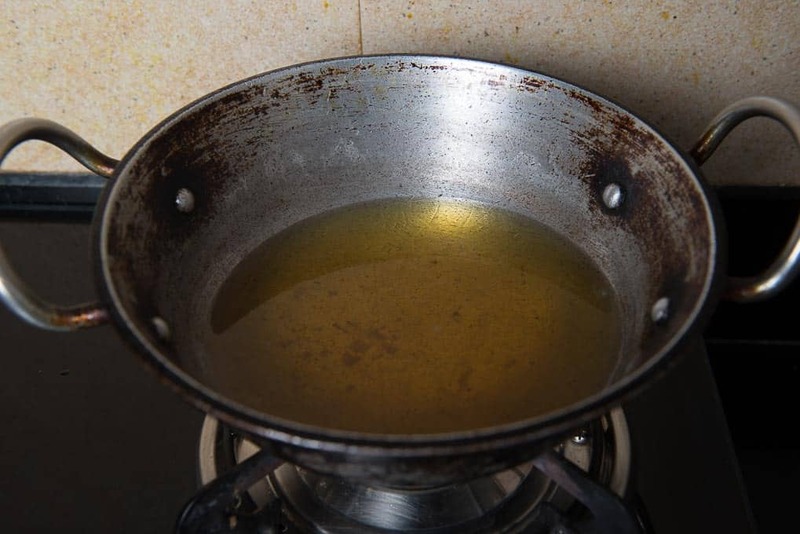 Temperature of the oil is also very important factor. Heat the oil nicely and then turn the heat to low. Now add the Namak Pare in the hot oil and cook on low heat until they are browned. This process will take time but frying on low heat is important for them to become crispy and coked from inside. Drain the Namak Pare on plate lined with kitchen tissue. It will absorb the extra oil and make them crisp. Store the namak pare in any airtight container for up to 10-15 days. You can add flavourings to your Namap Paare dough as per your liking. I sometimes like to add a mix of spices and sometimes make Pudiney ke Namak Pare. You can also add cumin seeds in the dough. How to make Namak Pare in oven? 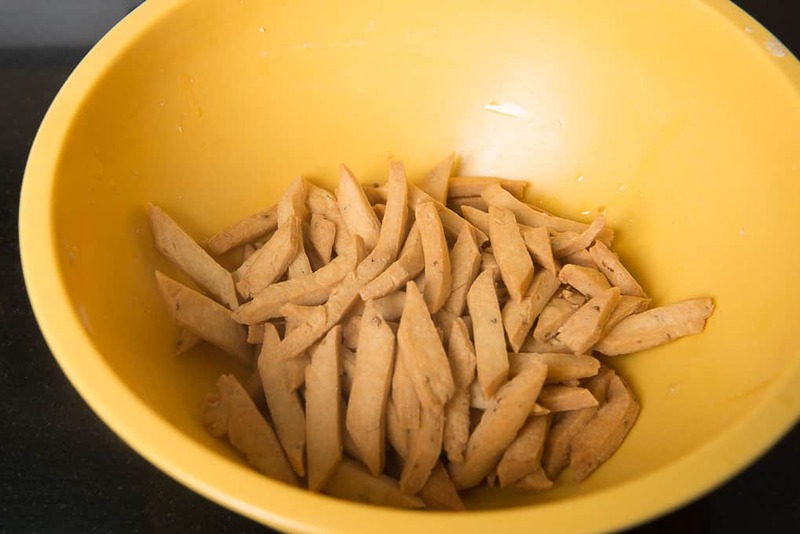 Although I prefer frying the Namak Pare and eat them in small portion rather than oven baking them as it definitely compromise on the taste, but if you are a health freak and loves to eat these by handful, then baking them in oven is a good option. 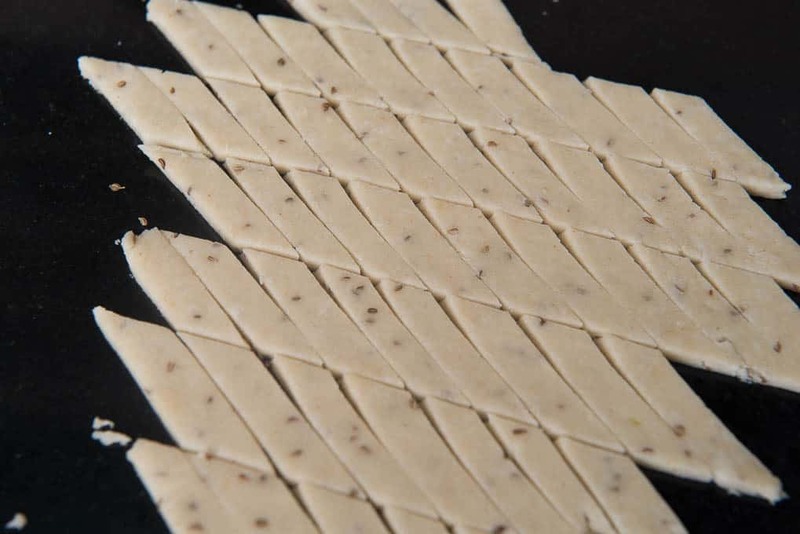 You can make the dough and cut the namak pare and then line them on a baking tray in a single layer. Spray with oil and bake in a pre heated oven at 160 degrees for 20-25 minutes. These are my kiddo’s favourite snack, so they even get packed in his tiffin. Super easy to make, these can be eaten any time! Learn its recipe and enjoy it for tea time or on festivals. 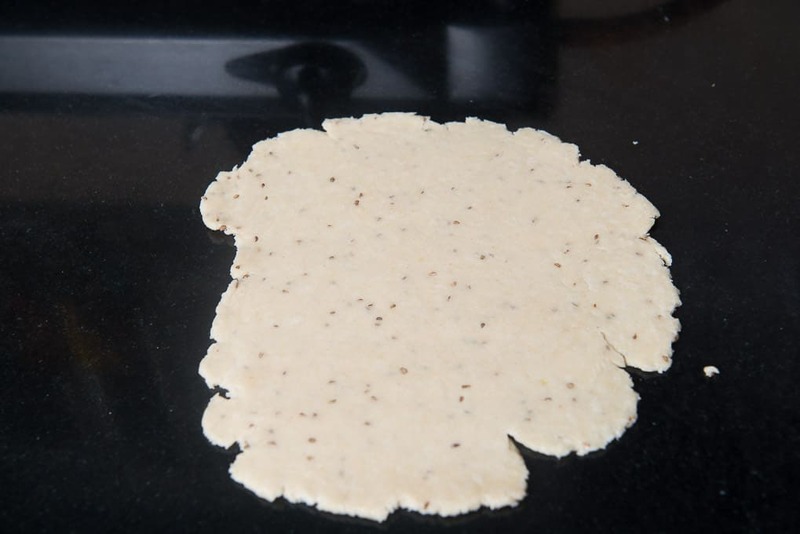 You can replace half of the maida with whole wheat flour or even use only whole wheat flour to make Namak Paare. The taste is slightly different but quite nice when made using atta or wheat flour. Mix maida, sooji, salt, ajwain and ghee in a bowl. Add a few tbsp of water at a time and mix to make a tight dough. Cover the dough and keep aside for 10-15 minutes. 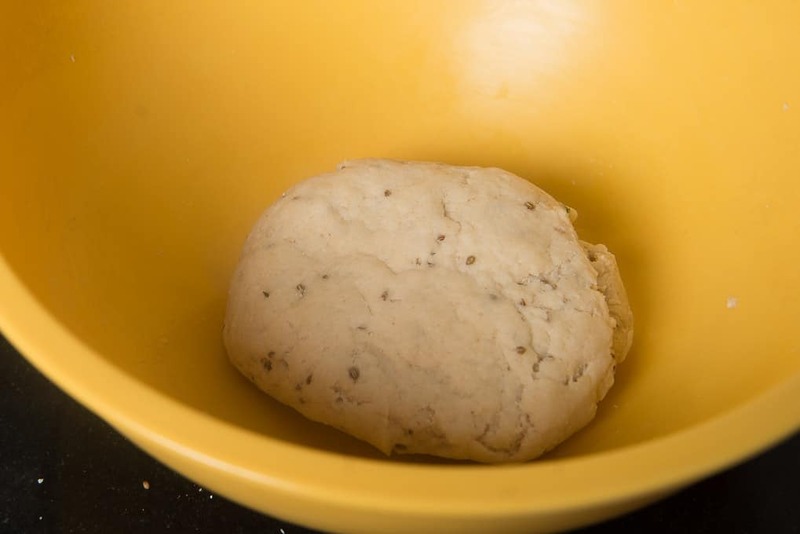 Divide the dough in 2 parts and roll each in a thin circle. Cut the circle in long rectangles or diamonds. Fry the namakpare on low heat till golden brown. Keep in mind that these will continue to brown a bit even after taking out from oil. Remove from oil on a tissue lined plate. Cool and store in an airtight container for up to 10-15 days. Crispy and crunchy, Namak Pare are a great snack to enjoy with a cup of hot ginger tea. They are a staple during the Diwali and Holi festivities. Make these at home using this step by step recipe. Add a few tbsp of water at a time and mix to make a tight dough. 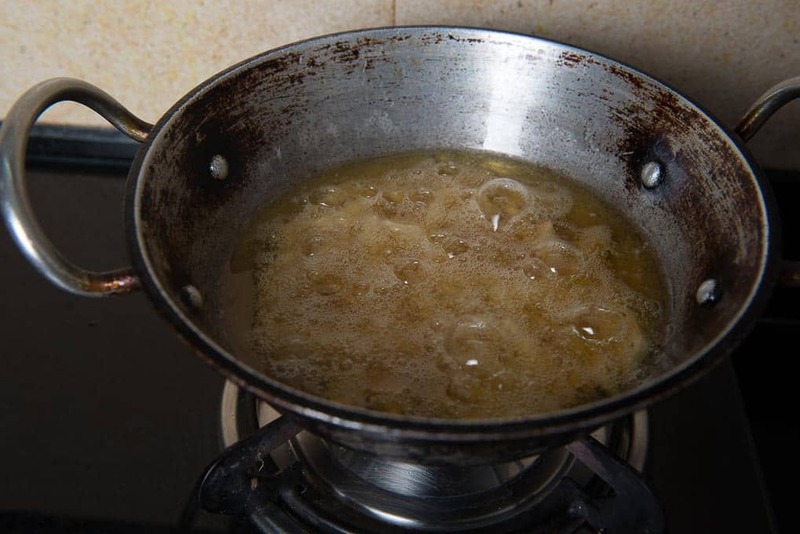 Heat oil for frying in a pan and when it is hot, simmer the heat. Keep in mind that these will continue to brown a bit even after taking out from oil. Remove from oil on a tissue lined plate. Cool and store in an airtight container for up to 10-15 days. The key to make good namak pare is to knead a tight dough. Fry them on low heat for the first 10 minutes so that they get nicely cooked from inside. After that you can slightly increase the heat and fry until they are browned. You can also add masala to the dough to make Masala Namakpare or Pudina Powder to make Pudiney ke Namak Pare. Its raining here and wish I had this over my tea too. This truly looks so amazing! easy to make and the perfect snack…will be trying this out tonight! Do give it a try. These are very traditional Indian snack. Yes please, do try. Happy Holi to you too! !